This Website is offered and available to users who are 18 years of age or older, and reside in the United States or any of its territories or possessions and. By using this Website, you represent and warrant that you meet all the foregoing eligibility requirements. If you do not meet all these requirements, you may not access or use the Website. Hey, we like that you like the stuff on our site.  So, if you wish to make any use of material on the Website other than that set out in this section, please address your request to: travel@caretravel.com. This website is operated by CARE Travel A full service travel agency. All notices of copyright infringement claims should be sent to travel@caretravel.com and must list the nature of the infringement and relevant screenshots. If you like our website terms, please don’t steal it. Contact Emily D. Baker, Esq at www.EmilyDBaker.com to get yours.